Rose plants are always a firm favourite, and a great gift choice for any occasion. Here, we've chosen a wonderfully vibrant shade of red and planted them in a charming ceramic teacup and saucer for a chic, contemporary gift. 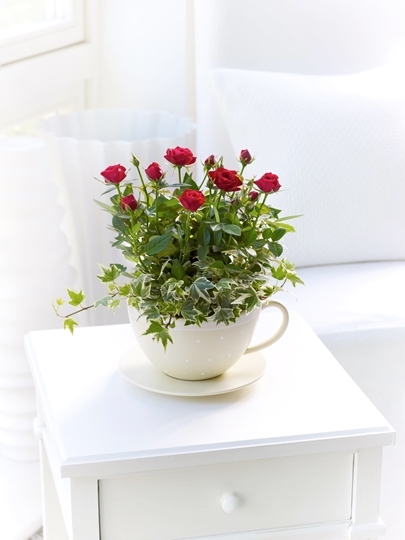 The rose plant will be delivered presented in a ceramic teacup container to be enjoyed indoors, but may also be successfully planted in the garden during the warmer months.